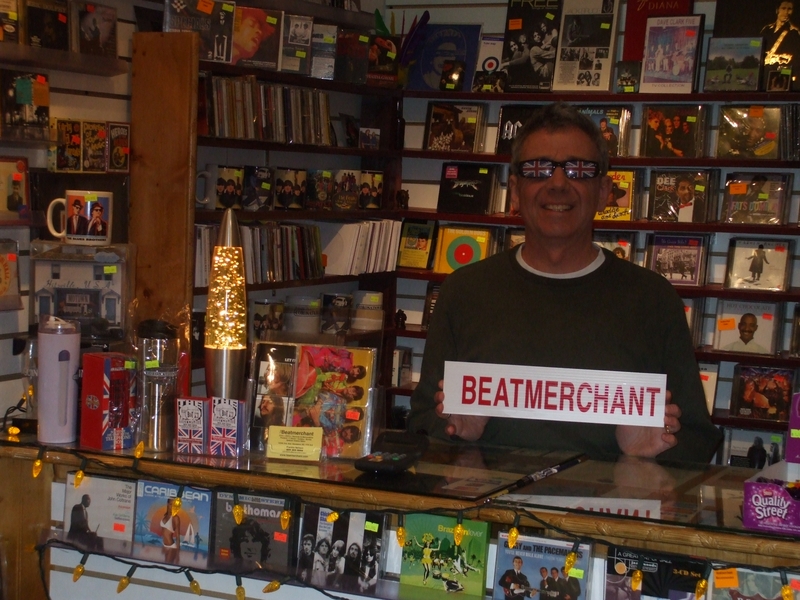 The Beatmerchant Specialty Record Store is located in sunny Steveston at the mouth of the mighty Fraser River in Richmond, British Columbia, Canada, twenty minutes from downtown Vancouver. We stock a selection of domestic and UK import Vinyl Records New & Used, CDs New & Used, Posters, T-shirts and Books. We also stock lots of UK Soccer items and lots of other eye-catching goodies! The Beatmerchant Specialty Record Store 160 ~ 12240 2nd Ave, Richmond, Steveston Village, BC, V7E 3L8, Canada :SPECIAL ORDERS TAKEN with Mailing available. Proudly Independent.